Booking Info – Are you looking for professional development workshop for your school or conference that provides resources and techniques that educators can use tomorrow ? I have traveled the country delivering PD relating to technology integration, PBL, STEM, Digital Literacy, and the 4 C’s. I have done 100′s of workshops and presentations. I also still work for a school district so my services are practical and affordable. Check out my Booking Page… Please contact me soon if you have an interest. My winter, spring, and summer for 2014 PD dates are already beginning to fill fast! 1. Classrooms In The Round Tested For Improving Child Centered Learning – While architects and builders applaud this new study, many educators are puzzled on how to make sure each child is in the very center of learning at least once a day. 2. All States Agree To The Common Core – Congress agrees to debate on how Common to make it. As one legislature put it, “There must be one test that will measure everything”. 3. Major Study Suggest That Student Inquiry Might Promote Learning – A new study supports that students may learn more asking questions then answering them. While opponents questioned how this would hamper student test scores, supporters had no real answer, although they did have further questions. 4. Textbook Publisher Throw Away Attempts At Stopping Digital OER Content – In a major surprise a large textbook publisher has embraced OER through a large purchase acquisition of OER content. As one publisher stated, “This is great stuff… we should be able to charge double.” Educators speculate it will be nice to see educational resources that students open (ERO)! 5. US Students Score Highest In The World On The TIMS Test – That’s right, a new test, (TIMS – Total Intellectual Memorization Study), that measures content retention using memorization tricks… has the US on top. Experts stated that a strong support of standardized testing in the US has been a major factor. In fact, it was also suggested to give the TIMSS (Trends in International Mathematics and Science Study), but opponents argued that students are already tested enough. We don’t want to give students another problem seemed to be the consensus. 6. Amount Of Information Surpasses a Googal : Google Considers New Name- IBM predicted that sometime after 2010 the amount of information would double every eleven hours. At that pace a googal may actually be small in the near future. Google may wish to bring back Google Squared. That should be good through mid year! 7. New Brain Research Reveals That The Left And Right Brain Work Together As One Brain- OK, Daniel Pink has already revealed a whole new mind. Educators must find ways to teach and enhance both hemispheres. After all, Common Core math states that we need two halves to make a whole. Right? Please explain. 8. Educators Learn Christopher Columbus Was Wrong, The World Is Flat : How Do Schools Tell The Kids? – It’s about time that educators not only learn a lesson that the business sector has long been struggling with. It is also time to teach the kids more about this new economic model of the twenty-first century. After-all did Columbus sail the 4 C’s… or are there more? 9. Government Officials Take New Approach: Allocate Adequate Funds To Facilitate Educational Mandates- Wow, there really is more to educational legislation than passing laws. This could turn into an interesting process! The measure was applauded by pigs viewing the proceedings from a second story window. 10. “There is No App For That”. Declares Major Technology Firms… Finally Found By Students – In a quest for finding an App that provides empathy, support, care, and excitement for learning in the classroom major makers of laptops, desktops, and tablets could not create an App. Students from across the world declared that it already exists… “It’s our teachers!” No wireless needed. OK… I added one more! This is my very special New Years Dream… one I really wish to come true. I hope you enjoy it. It is one that I include every year! 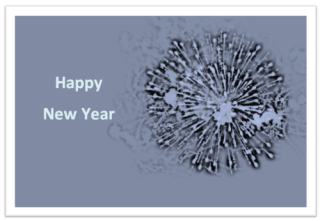 Happy 2014 and I wish you the very best as you continue serving students through out the year and beyond! 11. World Wide Effort Placing Education And Children As Top Priority Results In Movement Toward “Peace On Earth “- Not only does this effort result in world peace, but health, energy, environment, food, and poverty are also addressed! No further editorial needed!